Jeep has now jumped on the AR-retail trend with their introduction of the Jeep Compass Visualizer. Customers can now view and customize a Jeep Compass to their liking, all without a real Jeep even present. Customers will be able to use the smartphone to go in depth with a virtual Jeep Compass, changing the colors and the wheels with ease. Customers can even open the car doors and look inside the vehicle, customizing the interior to their will. 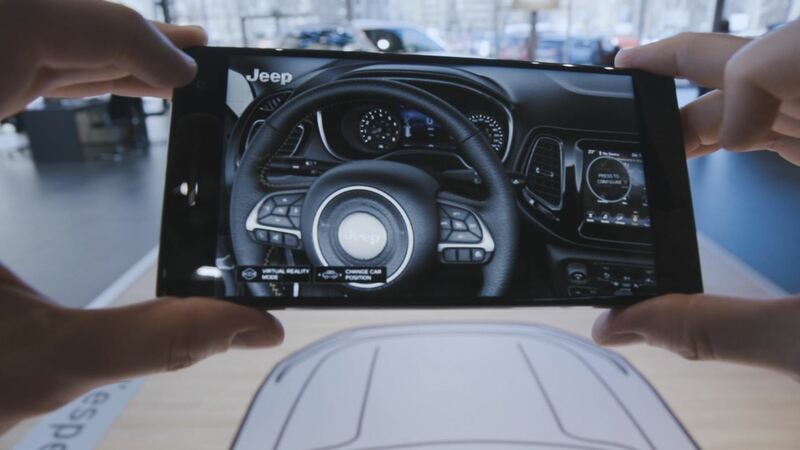 The Jeep moves with the viewer, as if you were looking at a real vehicle through the phone. 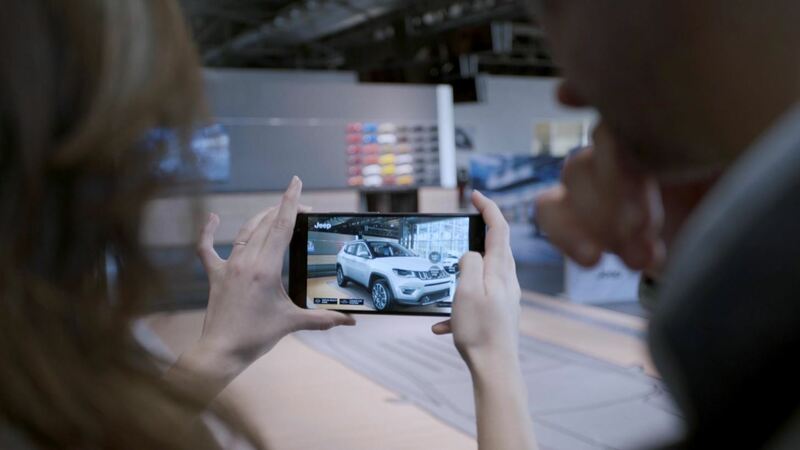 First displayed in February 2016 at the Mobile World Congress in Barcelona, the augmented experience is set to be available in most European Jeep stores by the end of this summer. If you want to see for yourself before that, you will have to go to one of the select stores in these countries; Austria, Belgium, France, Germany, Italy, Netherlands, Spain and Switzerland. The app was created for showroom use by a joint venture with Accenture Interactive, and with help from Google (which created the Tango smartphone AR platform) and Lenovo, which built the Phab 2 Pro smartphone on which the program runs. The sensors in the Phab 2 Pro map the world around the phone, and the app overlays images onto that environment on the 2D screen of the phone. Since, obviously, not every Jeep customer is going to own a Tango phone, it seems like the app will be mainly used by showroom employees to show off their wares digitally. Unfortunately, there's no word for when non-Europeans will get to experience the app. For any American's who need to get their AR retail-fix, Lowe's has a similar experience in select stores.